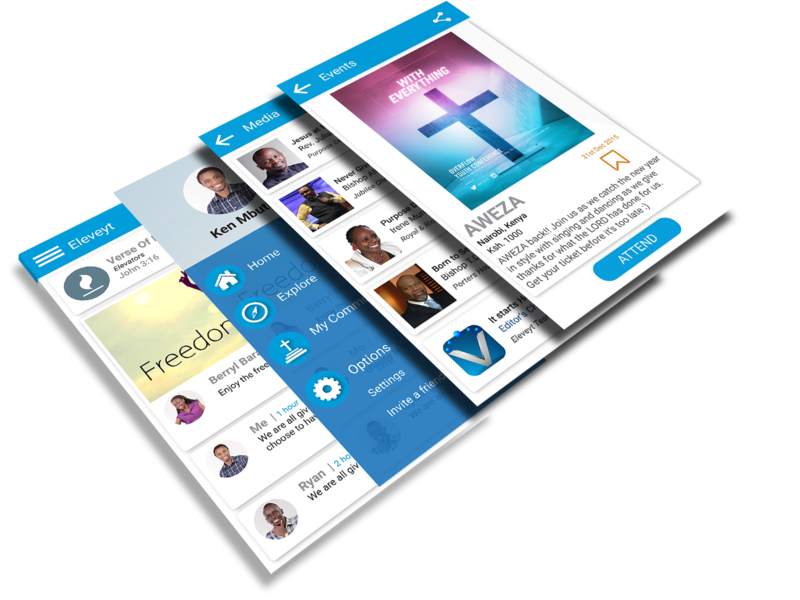 Eleveyt is a content sharing application for the 21st Century Christian. Connect to fellow believers, and find amazing faith-based communities where you can truly belong. 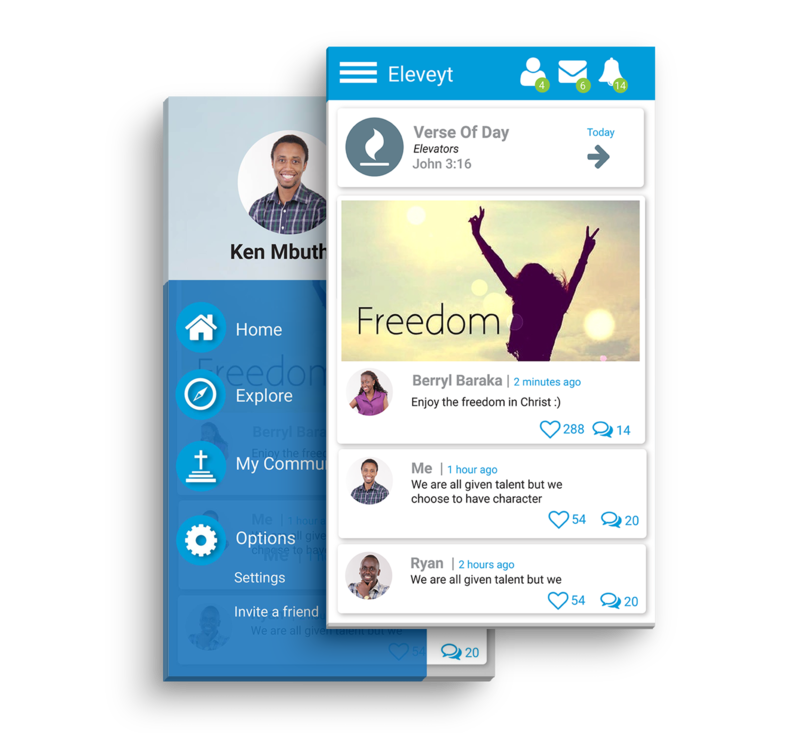 Download Eleveyt for free from the Google Play Store. Interested in getting your church or community on Eleveyt? Get in touch. 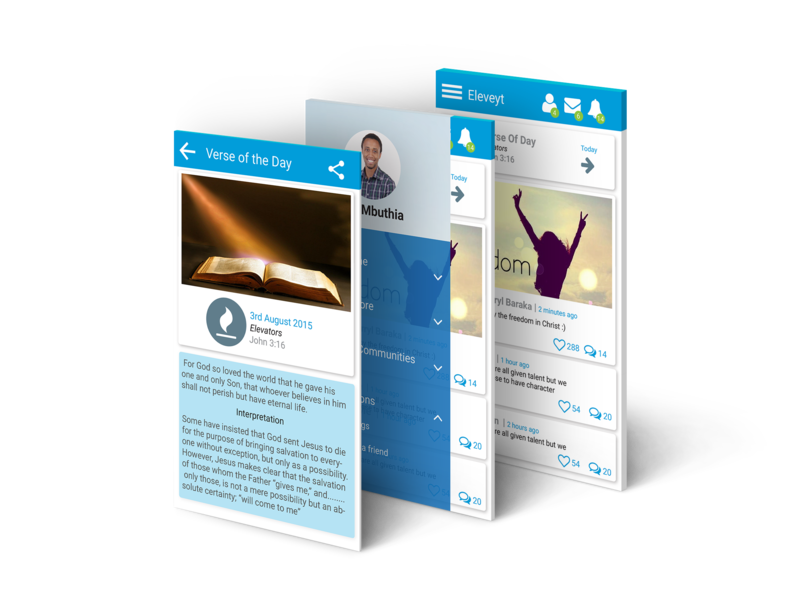 Share your spiritual journey on Eleveyt – from prayer requests to testimonies, from inspirational stories to the Word of God, let the world know you’re on a journey of faith. 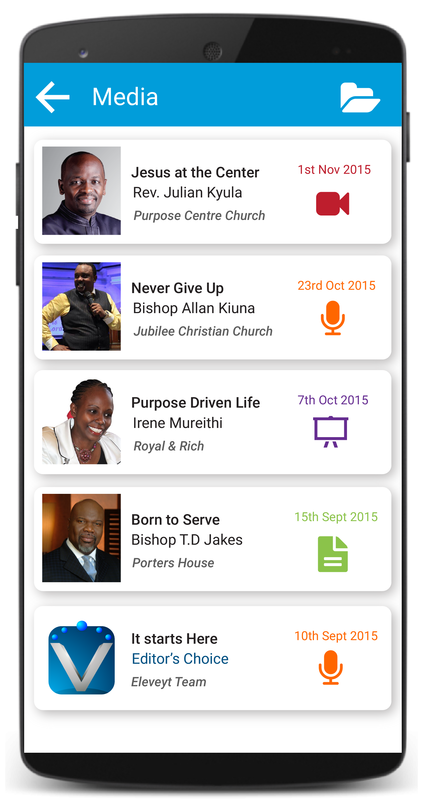 Find and follow Christian communities on Eleveyt – your church, or your favourite Christian TV show. Connect with your congregation or fan base and stay up to date on what’s going on in the community! Eleveyt’s useful features set it apart. 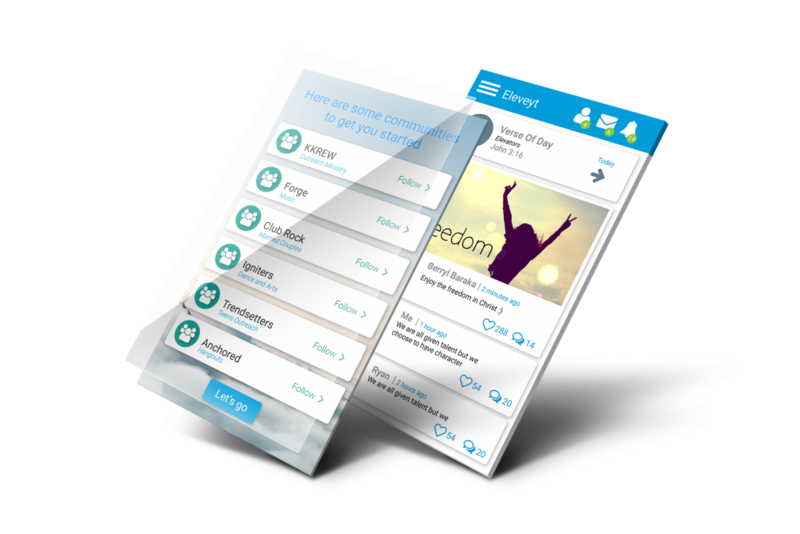 The Eleveyt app strikes the perfect balance between aesthetics and functionality for a wonderful user experience. 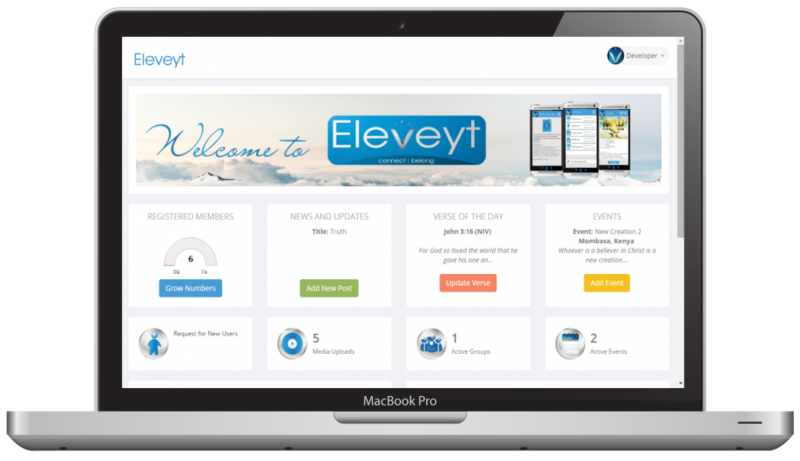 Eleveyt provides community administrators with a web dashboard to better connect with the community. 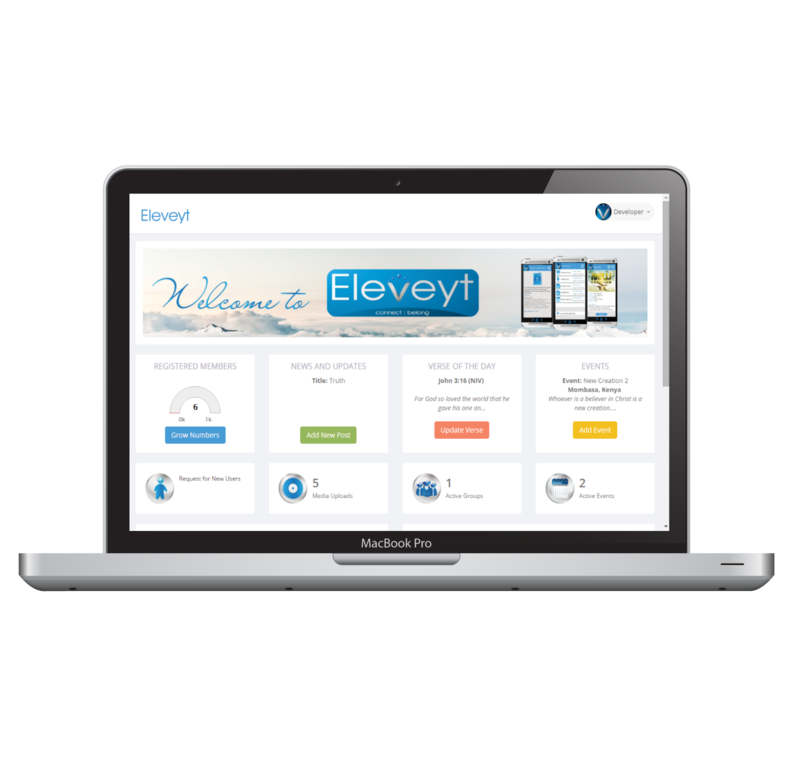 Browse our features below to learn what else Eleveyt has to offer. Find and follow Christian communities on Eleveyt. Connect with your congregation or fan base and stay up to date on what’s going on in the community! Get a Verse of the Day from each community you follow. Stay focused on The Word and grow your faith and understanding. 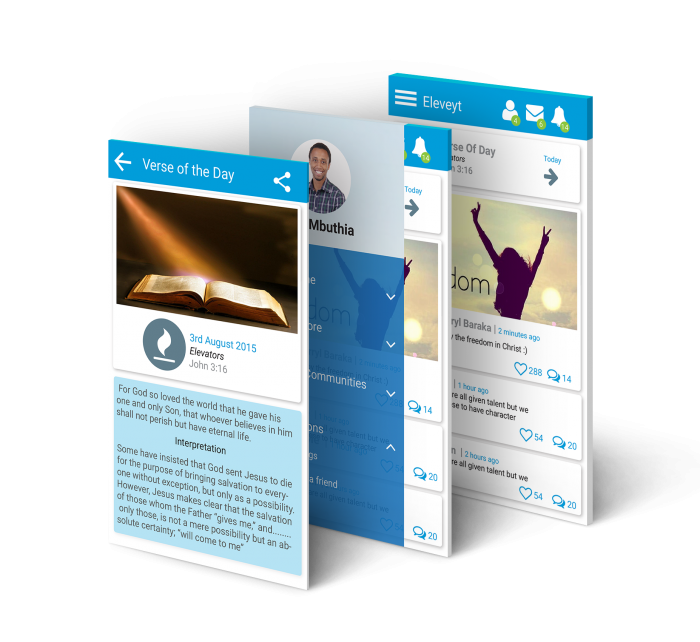 Share your spiritual journey on your Eleveyt wall – from prayer requests to testimonies, from inspirational stories to the Word of God. Chat with friends on your Eleveyt wall, or on the walls of communities you follow. Reply to messages, comment on photos… stay connected! Subscribe to the Eleveyt newsletter to stay updated! Get a sneak preview of the Eleveyt app. It’s free on the Google Play Store.